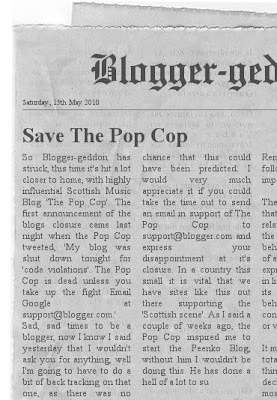 Sad, sad times to be a blogger, now I know I said yesterday that I wouldn't ask you for anything, well I'm going to have to do a bit of back tracking on that one, as there was no chance that this could have been predicted. 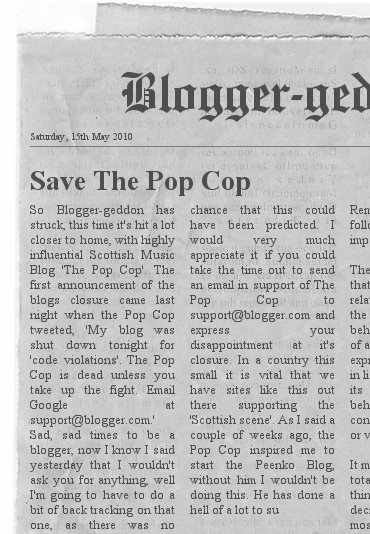 I would very much appreciate it if you could take the time out to send an email in support of The Pop Cop to support@blogger.com and express your disappointment at it's closure. In a country this small it is vital that we have sites like this out there supporting the 'Scottish scene'. As I said a couple of weeks ago, the Pop Cop inspired me to start the Peenko Blog, without him I wouldn't be doing this. 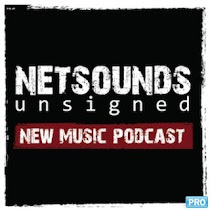 He has done a hell of a lot to support up and coming artist, and it's about time we gave something back by showing him a bit of support. If you aren't keen on emailing, then you can always just sign up this Facebook Group 'Get ThePopCop back online'. Any way that you can show some support would be very much appreciated.